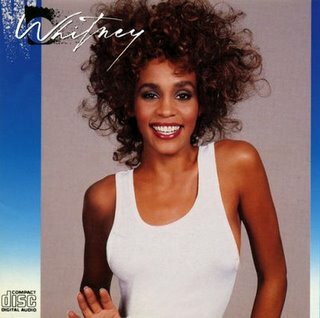 It’s no surprise that the follow up to one of pop’s biggest debut albums would see a similar level of success and in so many ways Whitney feels like a tighter, more polished version of that debut self titled record. The ballads area little bit more over produced, the smooth 80s sax of Just The Lonely Talking Again going toe to toe with Houston’s belting vocals. It’s a case of more of the same on songs like Didn’t We Almost Have It All, which is the equivalent of a Whitney standard at this point, with one of the most dramatic middle 8s of her career. It’s Whitney’s voice that remains the star of the show throughout, on both the soaring ballads and the dance pop numbers. Any other singer would be overwhelmed by the production on Love Is A Contact Sport for instance, but Whitney is at the centre of it all belting out pop hooks like it’s no effort at all. Her voice is what stops these songs from becoming too samey. For every track like the danceable Love Will Save The Day which attempts to look forward with it’s social commentary leaning lyrics you have something like the completely unnecessary duet version of I Know Him So Well with her mother Cissy. Of course, at its best the tracks on Whitney are some of the decades most memorable hits. So Emotional and I Wanna Dance with Somebody (Who Loves Me) are 10/10 all time pop classics and the fact that Whitney was able to deliver timeless performances on both so soon into her career is incredible. These songs set the tone for Whitney the global superstar, putting her up there with the Michael Jacksons and Madonnas of the era. As an album though, Whitney is little more than the necessary next step from her debut. Definitely not as consistently brilliant as that record was, but still packed with career best performances and hits that would go on to the define the entire decade. Will I listen again? : I’ll definitely give her other albums a listen. Best Track: It has to be between the two classics I mentioned above and if only for the ‘Dont you wanna dance, say you wanna dance’ section near the end I have to give it to I Wanna Dance with Somebody (Who Loves Me) here. Tags: I Wanna Dance With Somebody (Who Loves Me), So Emotional, The World's Greatest Hits, Whitney, Whitney Houston. Bookmark the permalink.